Don't underestimate the impact an effective stationery program will have on your business. The most prominent vehicle used to communicate with both internal and external audiences is stationery. Having a consistent and professional image communicates a unified message and strengthens the branding behind your identity. StationeryU is Maximum Graphics' learning center dedicated to helping you create a successful stationery program. We provide custom internet solutions that are efficient and cost-effective. Our mission is simple: help you streamline your ordering process, improve product quality, lower cost and increase customer satisfaction. "3 Ways to Dine on us"
TEST DRIVE OUR DEMO to be automatically entered in our "Restaurant of the Month" drawing. REQUEST A COMPLIMENTARY STATIONERY PROGRAM REVIEW and receive our "Restaurant of the Month" Gift Card. 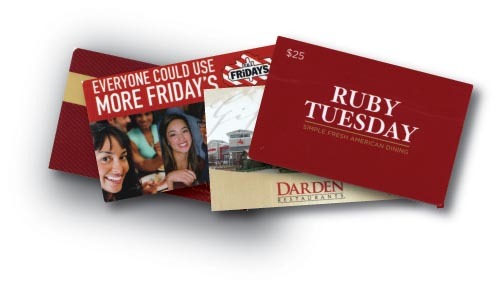 BUILD YOUR STATIONERY PROGRAM WITH US and receive a "Restaurant of the Month" Gift Card every month for a year.